- Things are coming to life in Beresford! Things are coming to life in Beresford! On your marks! Get set! GO! 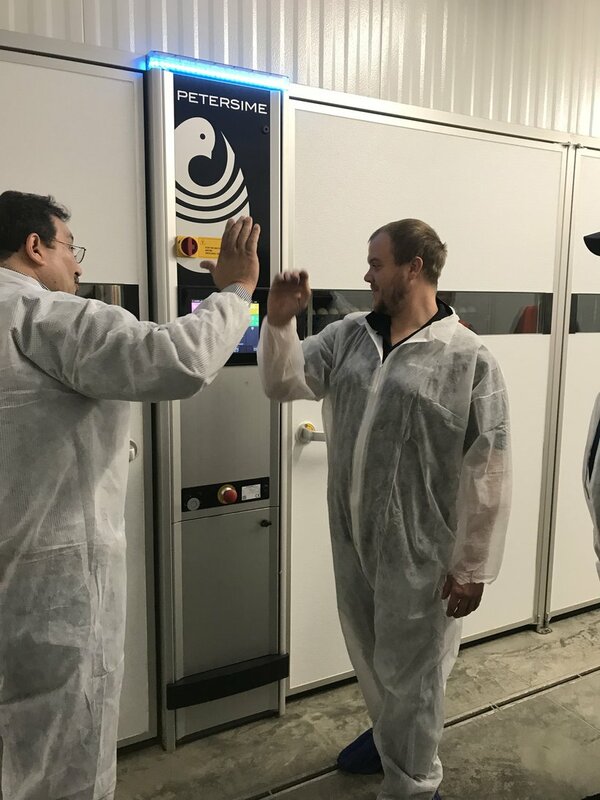 As the new year approaches, the team at the Hybrid Turkeys have taken their places in the starting blocks and are 'getting set' so they are ready to go January 1. A professional runner will practice their run over and over again, review the course, and double check that they have the tools they need to ensure their success when it matters most. 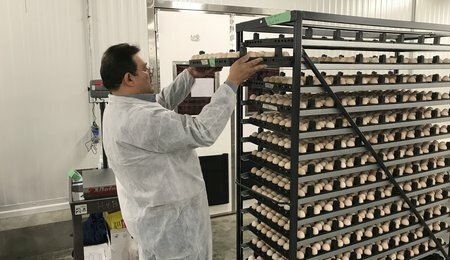 This process of practicing, reviewing and testing is similar when launching a new hatchery. 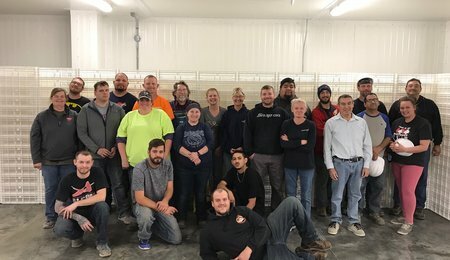 Pictured below are some highlights of the team 'getting set' from the new Hybrid Turkeys hatchery in Beresford, South Dakota. 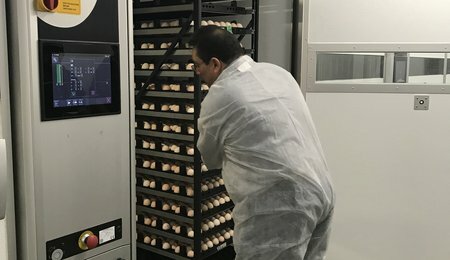 Eggs have been placed to test all aspects of the hatchery before going 'live'. With the hatchery, farms and logistics on the mark, and the 'runners' set, we can't wait for January 1, 2019 so we can 'GO'!